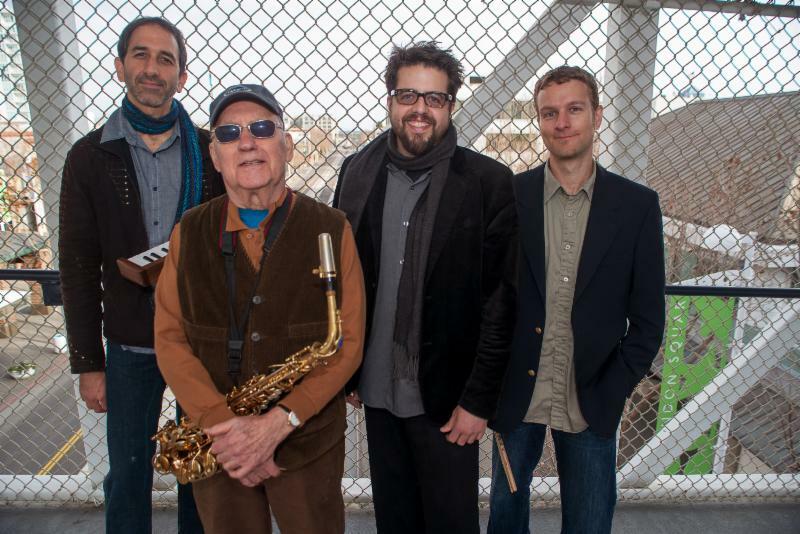 "Jeff Denson Trio + Lee Konitz"
L. to r.: Dan Zemelman, Lee Konitz, Jeff Denson, Jon Arkin. This is hilarious to me in that I play with Jon Arkin semi-frequently, and though I've known that this collaboration was happening, he has been pretty quiet about it. I had know idea about the record, for one. The second time that I saw Lee Konitz live, it was in the company of Jeff Denson, Vadim Neselovskyi and Ronen Itzik in West Virginia. After the show, I picked up Denson's Secret World, which is a good one. 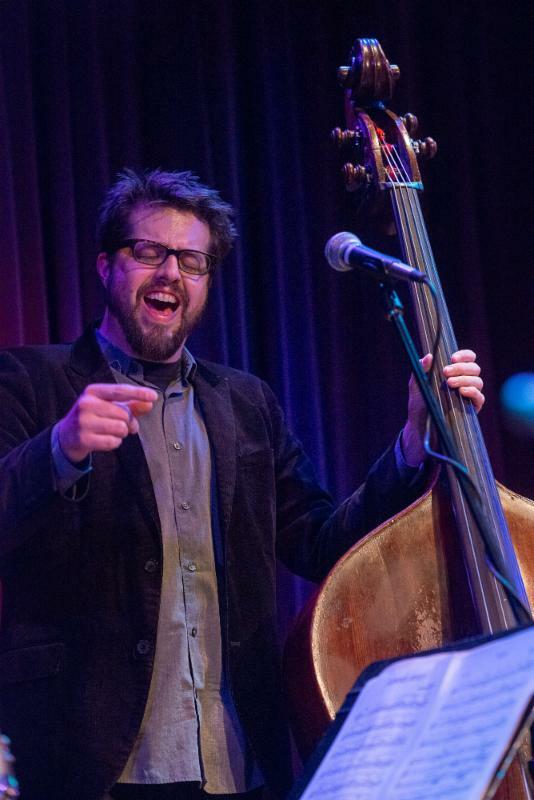 Like Dan Tepfer, Denson is a talented, young collaborator with whom Konitz has developed a strong rapport. I'm looking forward to checking out the new album. Many years ago it was my belief that Down Beat reviewers gave five stars to anything that did not remind them of something they had heard before. I have another candidate for them. First, Denson is a bassist, so the bass is in the foreground here. 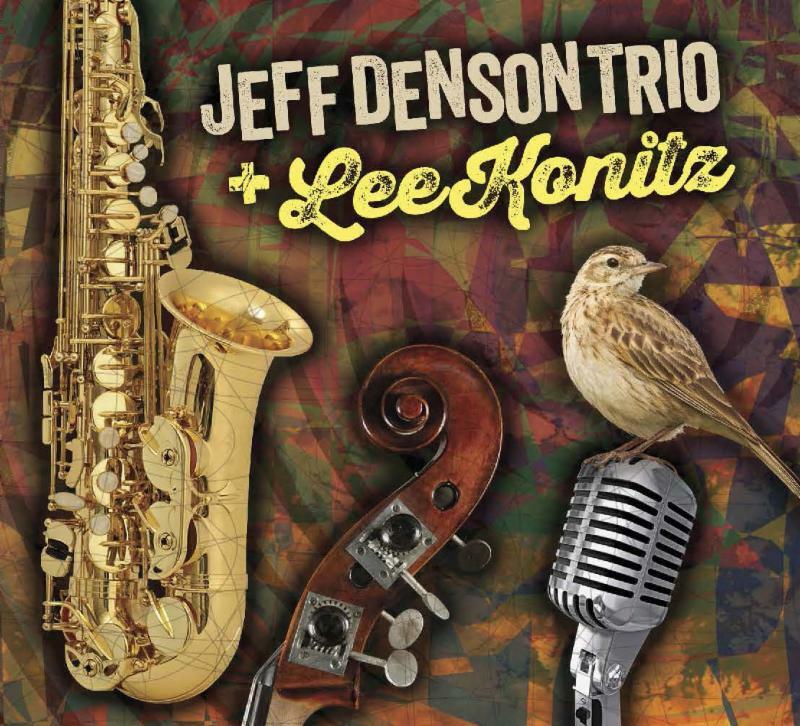 Second, Denson fancies himself to be a singer, so he sings on a number of tracks, often with Lee Konitz singing harmony. I enjoy this one, and can recommend it to those who are bored with the same old same old. This one is now up on Spotify.